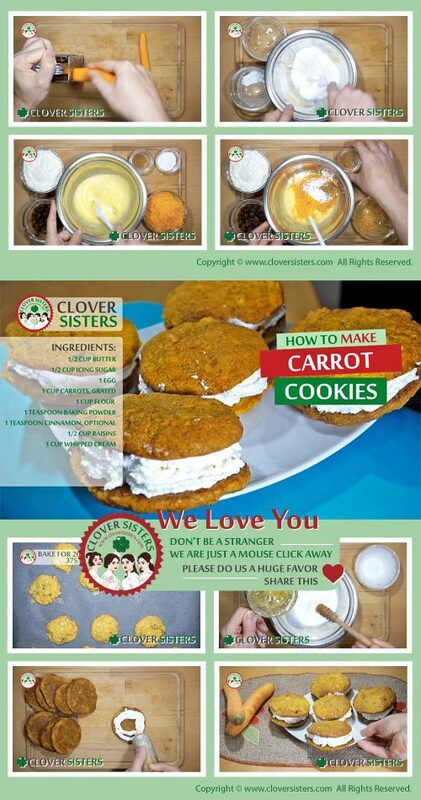 Healthy carrot cookies, is that a real thing? I had to try and yes, it is. Since I tried it, bunnies are regular on the tea each day. Whisk butter with the icing sugar and when becomes creamy, add in the egg and keep whisking. Add the carrots, cinnamon, flour and baking powder and fold all in. At the end, add the raisins and fold them in as well. Take pieces of the dough with spoon and arrange them on the baking paper. Bake in oven preheated to 375F (190C) for about 20 minutes. Let cookies cool on the paper before moving them. Whisk cream cheese with honey to soften. 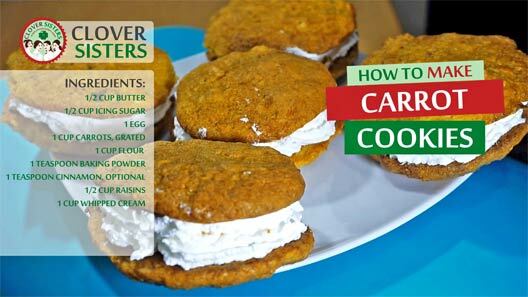 When cookies are completely cooled, make sandwich cookies with cream cheese.